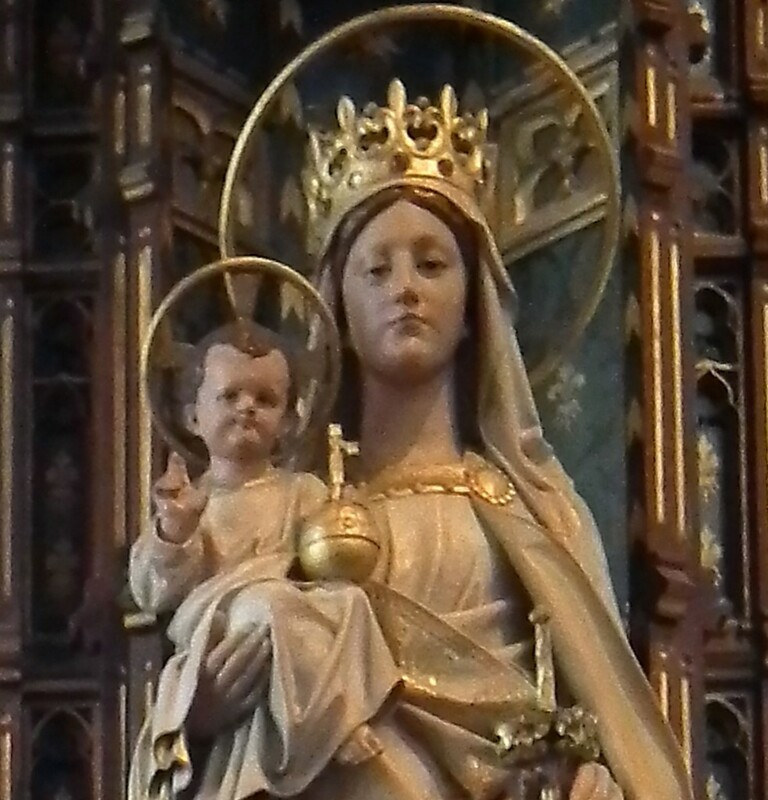 The principal patron of the Diocese of Shrewsbury is Our Lady Help of Christians, after whom, along with St Peter of Alcantara, the Cathedral Church is also named. The invocation of “Auxilium Christianorum” (Help of Christians) can be traced to the 16th century when Bernardino Cirillo, the archpriest of Loreto, composed a litany of the Blessed Virgin Mary which included this title. One tradition holds that the salutation was invoked by the Christians warriors who prayed at the shrine of Loreto around the time of the Battle of Lepanto of 7th October 1571, in which the Ottoman fleet that threatened southern Europe was destroyed by Holy League forces off the coast of Greece, preventing a Muslim invasion of Italy. The feast of Our Lady Help of Christians of 24th May was instituted only in 1815, however. This was done by Pope Pius VII in thanksgiving for his return to Rome following three years as a captive of the French Emperor Napoleon. At first, it was the just the Papal States that honoured the Blessed Virgin Mary with this title but within a year the Diocese of Tuscany adopted the feast and it quickly spread throughout the Catholic world, with St Don Bosco, the founder of the Salesians, in 1868 dedicating the mother church of his order in Turin to Our Lady Help of Christians. Besides the Diocese of Shrewsbury, Our Lady Help of Christians is also a patron of the entire continent of Australasia. The secondary patron of the Diocese of Shrewsbury is St Winefride, the Welsh virgin and martyr after whom Holywell is named.